November 10, 2010 - The Coalition of Airline Pilots Associations (CAPA) representing over 28,000 commercial passenger and cargo pilots is calling for improved screening of cargo carried aboard all-cargo commercial flights for the second time in 3 years. CAPA was influential in passing the cargo screening bill in 2007 after four years of working with Congressman Ed Markey of Massachusetts but all-cargo carriers were not included in that bill. CAPA has always advocated for ?one level of security? for all commercial flights and expressed concern that all-cargo aircraft could be targeted for terrorist attacks in the same manner as passenger aircraft. The explosives found aboard UPS aircraft recently prove CAPA?s concerns were justified and reinforce CAPA?s demand for the same level of cargo security for all commercial flights. UPS has reported that they are fully cooperating with authorities around the world as they investigate potentially suspicious packages being shipped through cargo networks. 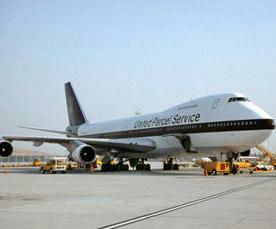 ?Because security is of the utmost importance, UPS has suspended service out of Yemen until further notice. ?UPS employs a multi-layered approach to ensure security. We have processes, systems and procedures in place designed to protect our people, aircraft and customers' shipments and they meet or exceed current regulatory requirements globally. We also work routinely with security agencies all around the world to maintain and enhance security?. ?CAPA worked closely with Congressman Markey to get the cargo screening bill passed but unfortunately the Cargo Airline Association managed to get a carve-out for all-cargo operators and those operations were not included in the legislation that was passed into law. Cargo aircraft pilots are exposed to terrorist explosives and cargo aircraft can be a threat to personnel and materiel on the ground. There must be one level of security for all commercial flights,? said Captain Paul Onorato, President of CAPA. CAPA is calling for immediate random physical inspection, canine bomb-sniffing dogs or technology that can detect explosive material be used to ensure the security of cargo carried aboard all-cargo commercial flights in the same manner as is currently used for passenger flights. The use of known shipper or freight assessment programs are inadequate and expose aircrew, aircraft and ground personnel to this latest terrorist threat. CAPA applauds Congressman Markey?s efforts to close this glaring loophole in aviation security and will work closely with Representative Markey to achieve that goal.